New Year's Resolutions for Business Success 2016 - Sewelltech, Inc.
New Year’s Resolutions are a great way to set your intent for a positive, fulfilling year of growth and accomplishment. But, on the other hand, when the year ends, if you haven’t completely fulfilled your resolutions, it can be frustrating. This usually happens because New Year’s resolutions are often too vague, and don’t include practical steps that lead to a clearly defined goal. 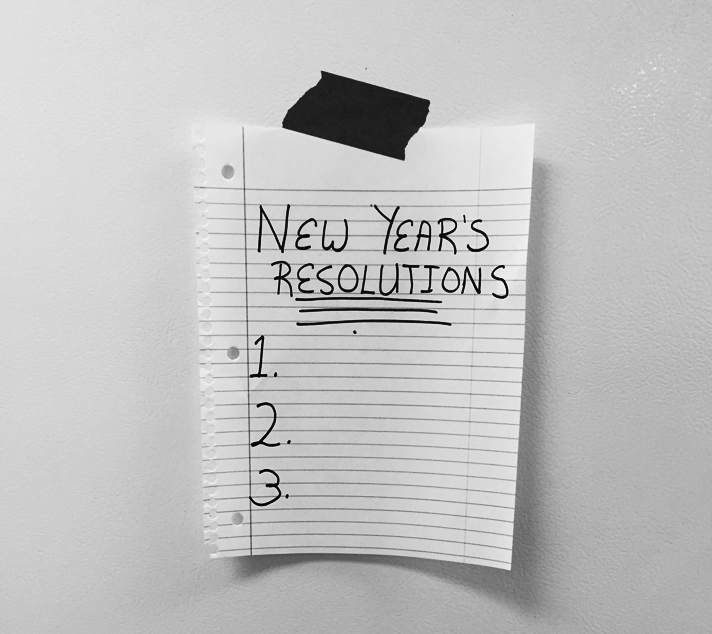 So today, by all means, make your usual big-picture resolutions. But, in addition, I’m going to suggest you make some sub-resolutions. Each of these sub-resolutions is designed to give you a long-term benefit (some of them even for a lifetime) with a minimum amount of time and effort. In fact, each of these sub-resolutions can be completed in anything from a few minutes to, at the very most, a few hours. And they’re all either free or very cheap. For most of you, many of these items fall into the category of things you’ve “been meaning to do.” there’s no reason why you can’t take half a day this week and get at least six more of the items below done. 1. Ask for a better rate. These little amounts add up, multiply by 12 months it really starts to add up. Ask Sewelltech how we worked with several internet providers and telephone providers to save some of our clients up to 60% per month on these bills and in all cases we able to get better service, faster internet at a better rate. Most people don’t take the time to do this, and regret it later. So copy your entire hard drive onto an external drive immediately; Mac owners, start using Time Machine or Carbon Copy Cloner. Also backup your Smartphone, iPad, and any other personal-information-storing device. Once again if you need help backing it up Sewelltech is here to help. 3. Back that up too. While you’re at it, make photocopies of your credit cards, passport, drivers license, social security card, birth certificate, and other important papers. If you keep a journal or anything similarly irreplaceable, photocopy that. Keep these in a safe deposit box, parent’s house, locked file cabinet, or any other secure location, preferably outside your own house. They’ll be invaluable in the event of theft, loss, fire, or any other unplanned incident. 5. Don’t make do; get a new one. Is there a piece of equipment in your office that’s interfering with your success or something that you lack that’s making your working life harder? Whether it’s an printer that’s a pain to use, or the need for a new employee to lighten your work load, make a New Year’s resolution to stop putting off getting what you need. The irritation of making do just isn’t worth it. Need help in updating your technology? Do you need help with your business’ day-to-day IT management? Sewelltech is here to help. You want customers to support the concept of small business, right? This means you should adopt a small business mindset at your own business too. Analyze your current vendors and service providers for opportunities to “downsize.” If you find any opportunities to support a small business instead, whether virtual or brick and mortar, aim to switch at least one vendor or supplier. Put your files where you can easily access them. This can help prevent accidental file deletion and help you find things much more efficiently. You can organize by creating new folders (in the Finder, press Shift-Command-N) and arranging them however you wish for your files at hand, or you can move your files into existing folders. If you lose track of a file or folder, you can use Spotlight to quickly find it. Tip: Go through any generically-named files and folders and give them more descriptive names so you can find what you need fast. This can help you get organized and makes it easier for Spotlight to search and find what you’re looking for, especially one file among your digital photo collection with names like “DSC_0431.jpg”. Go see items 2 and 3 and then double check your back ups. We live in the Information Age where countless data is created, transmitted, and stored. We live in the Electronics Age where numerous electric-powered machines aid in these tasks. This last summer was a scorcher! Days upon days on end of 100 degree weather in North Texas, these things add up and but a strain and demand on systems. Our climate’s extreme heat is creating high demand for electricity and electricity blackouts became a common thing. Power events, outages, spikes, brown outs, surges can cause damage to vital business systems. How would your business handle if your main server went out for days due to a power event? Don’t wait for disaster to strike Far too many people start a plan after disaster has struck and data has been lost or expensive equipment has been damaged. Develop your plan now! 10. Keep Your Software Up To Date. One of the Best ways to keep you Mac humming along is you keep you software current and up to date. Now that Apple gives away OS X Mavericks, you have very few reasons not to upgrade to the new OS, unless your system does not support it, then its time to talk to Sewelltech about a new Mac. 11. I will meet with customers and vendors face to face. Stop relying on email and the phone as an exclusive way to talk with customers and vendors. Even in a social media world, deep and long lasting business relationships are still built IRL (In Real Life). 12. I will be proud to be a small business owner. Celebrate the big achievement of creating a company, helping your customers and employees through it. You are the future of this country. And have a great 2016.